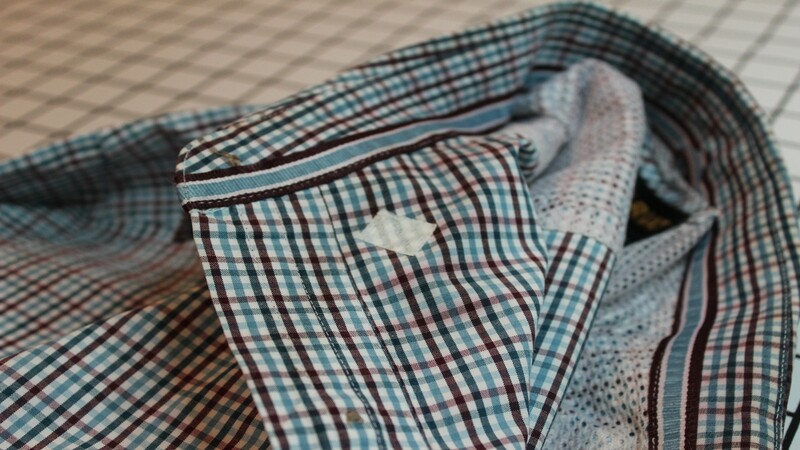 I’m continually surprised when I hear grown adults say, “I can’t even sew on a button.” So in honor of them, I’m making this Back-to-the-Basics post to show how easy it is to machine sew a button on a shirt. There’s a bit more to it than just needle and thread to achieve a professional and clean finish. Believe me, in the early days, there were lots of buttons with bird’s nests in them either on the front or back! Here are some tips I learned along the way. 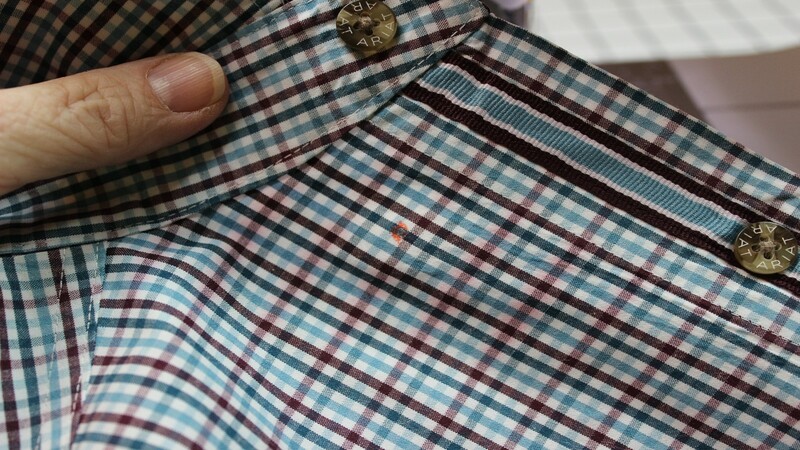 Most of the time when a button comes off a shirt (at least the shirts in my life) it’s because it was broken in half at the dry cleaners in the pressing process. Here is one of my husband’s shirts with a missing collar button. 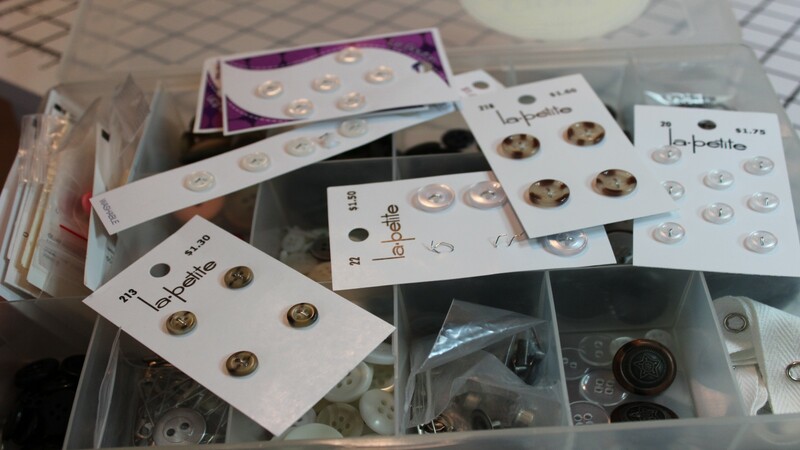 Replacing buttons is a frequent occurrence in my world. So I make it a point to stock up on buttons when they go on sale. 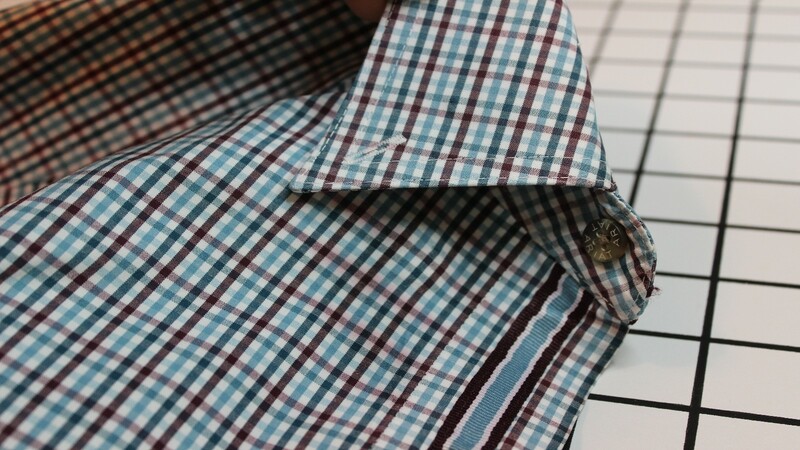 Unless the button is on a cuff, collar band, or the button band down the front center of the shirt where there are multiple layers of fabric and maybe some interfacing, it will need a bit of stabilizer on the back. A light to medium weight will do. This will help to keep the stitches from tearing the fabric. I usually just cut a about a half inch of iron-on interfacing and put it over the existing holes. It’s a great way to use up those little pieces of extra interfacing. If you don’t have interfacing, find a lightweight scrap of material and attach it with a glue stick. Really. The glue will come out in the wash and the backing will be sewn on by affixing the button. If it’s hard to see from the front, I use a fabric marking pen to mark the spot. No fabric marker? Make a teeny dot with a pencil. Make sure you’ve got long thread tails to start. You’re going to need them. 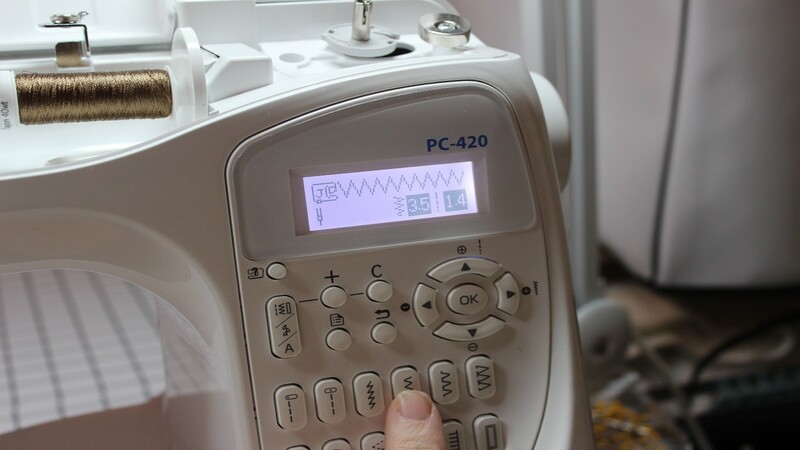 Set the machine for a regular zigzag stitch. IMPORTANT: Lower the feed dogs or set the stitch length to zero. This will prevent the shirt from moving during the stitching process. Do not change the stitch width. Put a button foot on your machine. 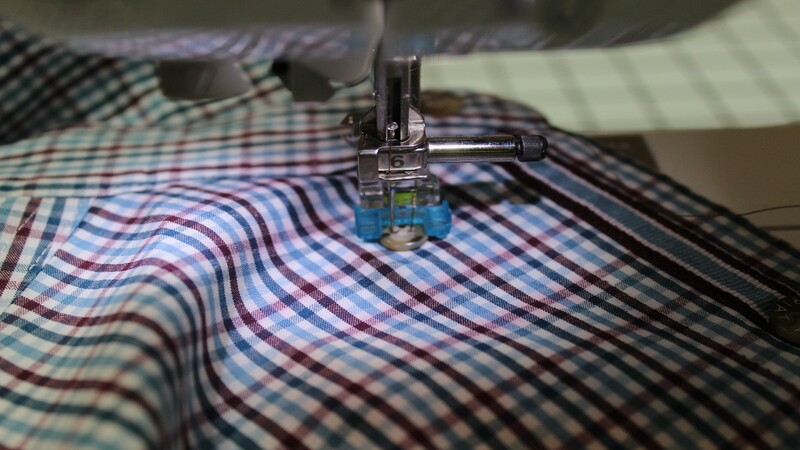 If it doesn’t have a specialized button foot, you’ll need a foot that allows a zigzag stitch. 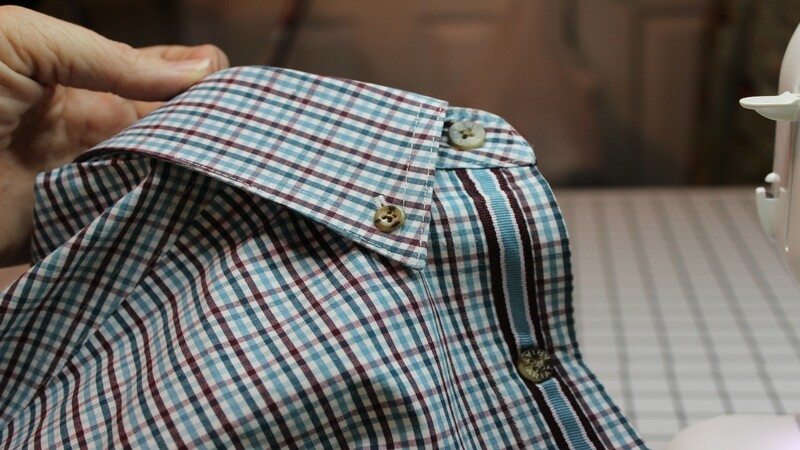 Place the button on the anchor spot on the shirt and gently slide it under the button foot. Try to get two opposing holes centered in the button foot or stitch spot and lower the presser foot to hold the button in place. Take a look at the other buttons and see which way the stitches and holes go. Are they in an X with the holes at 2-4-8-10? Or are the holes at 3-6-9-12? Try to make yours look the same. If they’re not, don’t die over it. Most people won’t notice. I just try to strive for a factory finish while I’m there. Using the hand wheel, slowly lower the needle making sure it doesn’t hit either side of the holes in the button. If it does, change the stitch length until the needle goes in both holes successfully. If needed, reposition the button. 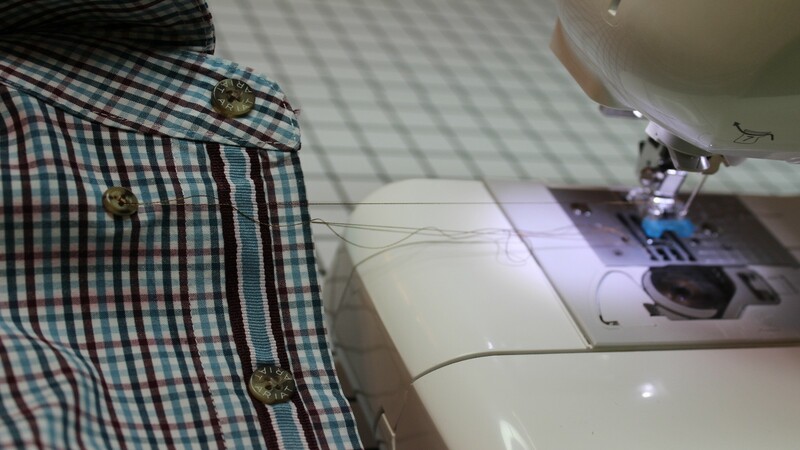 Once the needle is cleanly going in both holes, use the foot pedal and stitch 8-10 times. 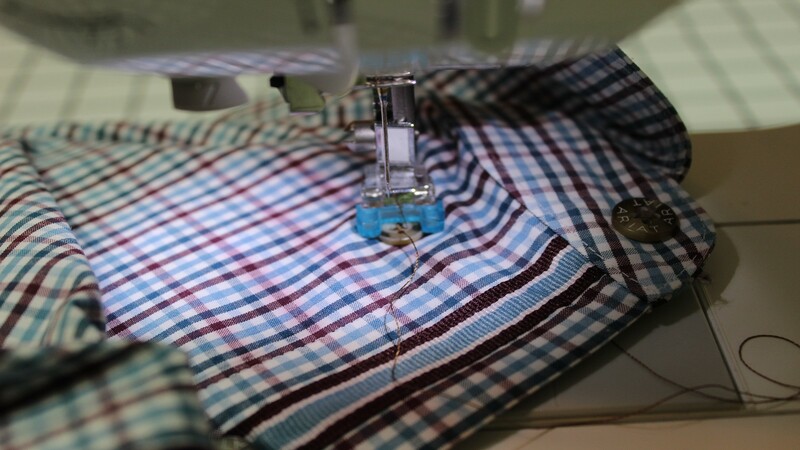 Without moving the shirt too much, lift the presser foot and reposition the button by turning the shirt and button 90 degrees to line up the last two button holes under the stitch point. Repeat the process to line up the holes and stitch the button on. Pull the shirt from the machine and leave long thread tails of about 6-8 inches. 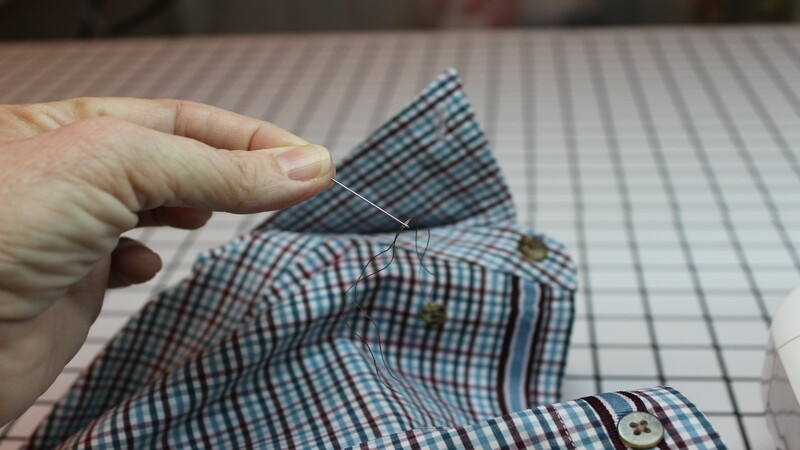 Then tie off the back threads in a double knot and trim off the excess threads close to the knot. 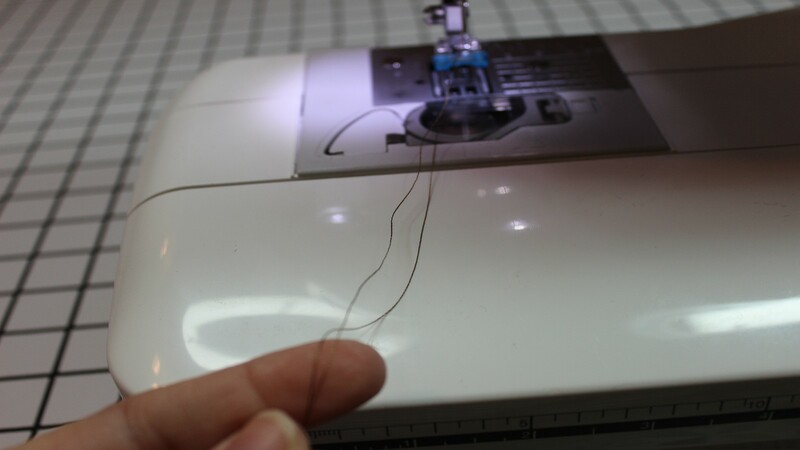 Put the front two thread tails into a hand sewing needle (hint: use a needle threader to get them through the needle at the same time). 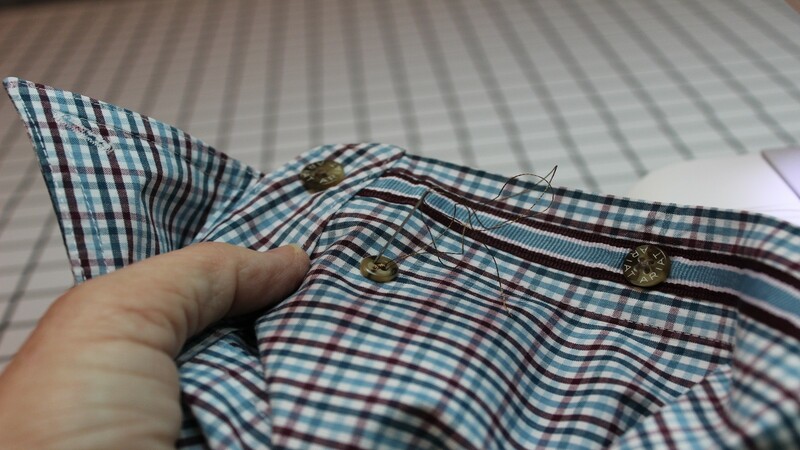 Push the needle through the holes in the button from the front to the back side to pull the front threads through. 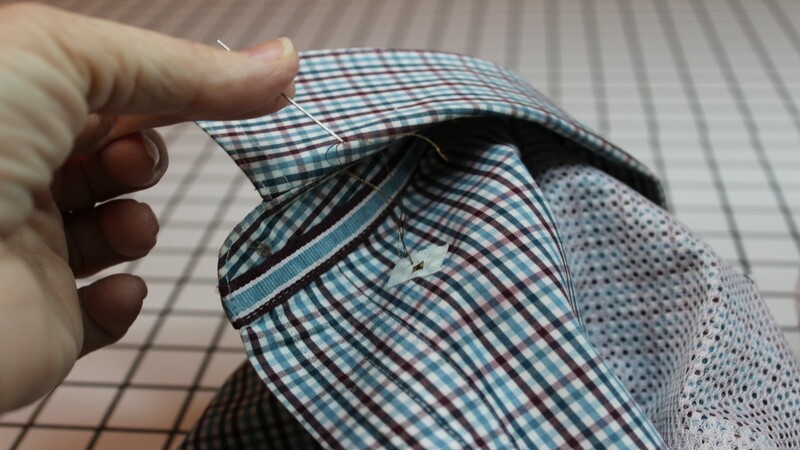 Remove the needle and tie off the threads in a double knot and trim close to the knot. Perfect and ready to wear! While organizing my patterns the other day, I had a “SQUIRREL! !” moment. You know what I mean. It happens when out of nowhere, your attention is suddenly diverted and you go haring off in a different direction from what you were supposed to be doing. Well, it was probably inevitable anyway when going through patterns. But I came across a top pattern that I forgot I had and seriously wanted to make…right then. Isn’t this cute? Hey, it might have been January but it was 73 degrees outside so I was thinking about a new lightweight top! So I went digging in my stash to look for some fabric and found some black jersey left-over from a previous project. You could tell where other pieces had been cut out of it but I figured I probably had enough. Wrong! Rats. Of course I didn’t figure that out until I’d already cut the bodice front, facing, and cap sleeves. I pulled out my Sure Fit Designs bodice front. Then I laid the pattern’s bodice front over the top of it. The trick is to match the center front point and shoulder angle to get the fit right. I’ll add the dart vs. doing an FBA. I don’t have a photo of the next step but I put tracing velum over the top of the pattern and traced out a new pattern that’s like a blend between the two that incorporates the fit I need with the design elements of the pattern. That’s the beauty of Sure Fit Designs! 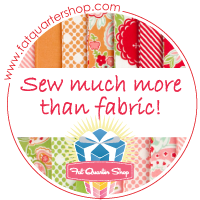 However, once I got to cutting, I realized I did NOT have enough fabric. Ugh! Sooooo??? Color block! If you’d like to color block but not sure where on a garment to do it, just type in “color block” on a search engine and you’ll see thousands of examples of where designers have done it. Eyeball theirs and go for it. Also, be creative. Color blocking doesn’t have to be done with “like” fabrics either – you can use lace, sheer organza, silk, satin, etc. The sky is the limit! First, I hacked up the back bodice across the shoulders. I also had some left over white jersey from another project so I created a double layer for the shoulders and sandwiched the bottom of the back bodice between the new shoulder color-blocked section, kind of like how a back yoke is made on a tailored shirt. The trick to color blocking is to make sure you add seam allowances on both pieces where they will segment each other. It’s hard to tell here, but the back couldn’t be cut on the fold of the black fabric (because I didn’t have a big enough piece) so there is a center seam down the bottom back piece where I had to play “Betsy McCall Paper Dolls” with the black scraps to keep it on grain. I added some featherweight interfacing to the exterior white piece too so it has a nice heft to it and it feels and hangs like a quality garment. My attention to this project waned at the end so I scrapped the cap sleeves. Good thing too because the end result was a little big under the arms but I took some of that out with the serger in what I call a blind alteration. I’ll just serge off about that much. ha ha The shoulders are not forward as the photo looks below – it’s the way I was standing. And I really enjoyed using my Janome Cover Pro 900 machine to do the back neckline, sleeves and hem. I was able to use the cover stitch to go over the clipping I did to allow the curves to lay flat. On the outside, it looks great! I’ll probably be wearing this pretty frequently!